We all love our skin. Or at least we all should! Our body’s largest organ serves so many important purposes, as we blogged about last week. So taking care of it is naturally part of our daily routine. 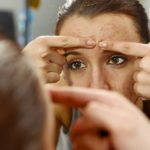 Some of us have concerns about the aging of our skin, and as we’ve discussed over the past several weeks, there are many treatments that can resolve these concerns. But what about those of us who feel that they may not yet be at that “treatment level” just yet. I must admit that, at my relatively young age, I’m probably a little ways off from needing reparations made to my wrinkles! (Fingers crossed). Then again, I do what I can to moisturize my skin regularly and protect it from long exposures to the sun. Like me, you may not necessarily need to consult a dermatologist regarding a specific procedure to help you with your skin. But you may need to do so for a product that can help keep it in tip-top shape. Believe it or not, not all skin care products are created equally. Take, for example, Cellex-C Advanced-C Serum. What the heck is that, you ask? 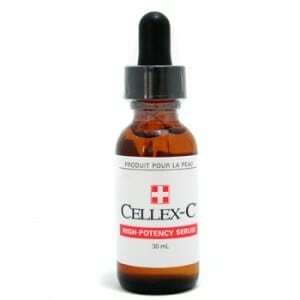 Cellex-C (for short) is a vitamin C-based formula that encourages the body to produce collagen. It’s a special patent that is available only through skin care professionals, so it’s definitely worth asking about. Now, we all know that vitamin C is good for you, but how does it help your skin? No, Cellex-C is nothing like orange juice! But the vitamin C in this product certainly provides you with great benefits. There’s more to it that vitamin C, of course. Cellex-C also contains hydrolized ascorbic acid. This assists your body with providing the product easier access to the skin cells where it can promote the production of collagen. Cellex-C also contains Resveratrol. Don’t worry, if you’re asking “resvera-what?”, you’re not alone. I asked the same thing when I first heard of this mulberry and grape extract. Resveratrol helps to protect collagen by preventing enzymes from damage it and by supporting existing collagen. You can thank Resveratrol for the golden pink colour of Cellex-C, by the way. As you may have guessed, there are a number of benefits to using Cellex-C. The one that you’ll likely be most interested in is the fact that it generally helps to keep people looking several years younger than they are! It does this by increasing both the elasticity and resilience of the skin to reduce lines and wrinkles. And no one ever complains about looking firmer, smoother and younger! 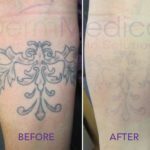 So, if you have some concerns about the “aging” of your skin, but would prefer an alternative to a procedure at a clinic, be sure to ask your dermatologist about Cellex-C. It just may be your skin’s ticket to smooth sailing!